Tenorshare iPhone Care Pro – iPhone is a pretty cool device, it’s design pleases our eyes, smooth touch enriches our experiences but sometimes we stuck in some frequent problems like managing, transferring files without being trapped in iTunes restrictions. Though there are many critical ways to do the same thing but using Tenorshare iPhone care, you can do share, copy, transfer files from iPhone. iPad or iPod to PC and vice versa with a buttery experience. Let’s have an in-depth tour of Tenorshare iPhone Care– An advanced way to optimize your iPhone. Optimizing iPhone is not a tough nut to crack; with Tenorshare you can do anything you want. 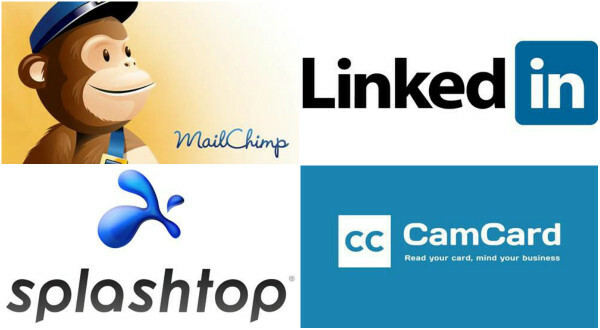 Easily you can access your Contacts, Calendar, Notes, APP, Video, Photo, Bookmark and Music just from your PC. Good compatibility with iOS 6/7/8/8.1 and lower versions of iOS as well. Supports all the iPhone i.e. iPhone 6 Plus, iPhone 6, iPhone 5/5S/5C, iPhone 4/4S/3GS, iPad Air 2, iPad Air, iPad mini 3/2, iPad mini, iPad 4 etc. and iPod touch 5G/4G/3G, iPod nano, iPod classic, iPod shuffle etc. 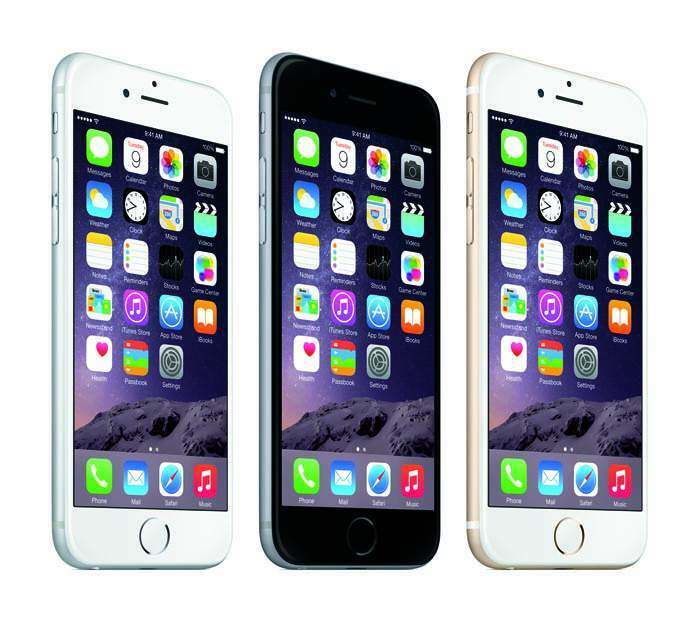 It manages iPhone data and files to during the iPhone optimization process without any loss of the data. It is the only iPhone optimization tool available. It maximizes your iPhone performance. Tenorshare iPhone Care pro is a perfect file manager for your iPhone, iPad and iPod that can manage 8 types of your files viz. Apps, music, videos, bookmarks, photos, contacts, messages and calendars. It is able to export or transfer contacts, music, photos and other files to your computer or laptop in various file formats like .jpg, .pdf, .txt, .doc, xls and etc. furthermore, you can add or delete files to your iPhone/iPad/iPod easily and without any effort. 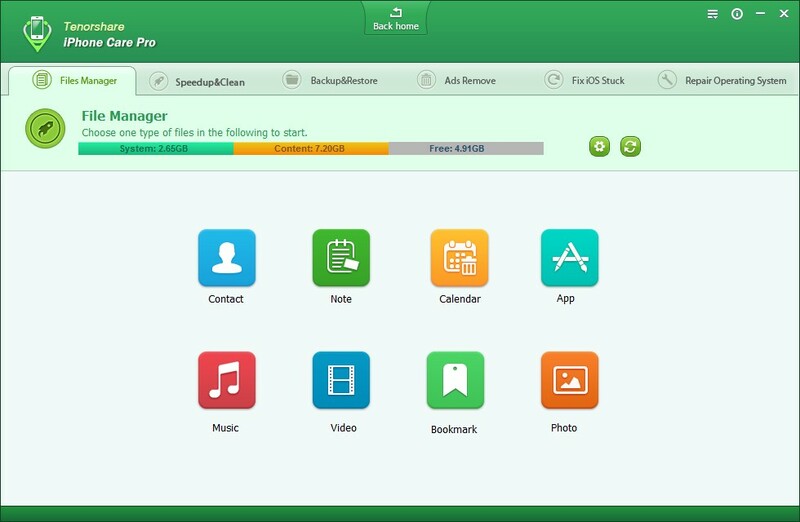 Tenorshare iPhone Care Pro cleans up the junk files from your iPhone/iPad/iPod with the up to 60% space and 10X faster after the cleanup. There are 2 different modes available: Quick Clean and Deep clean. 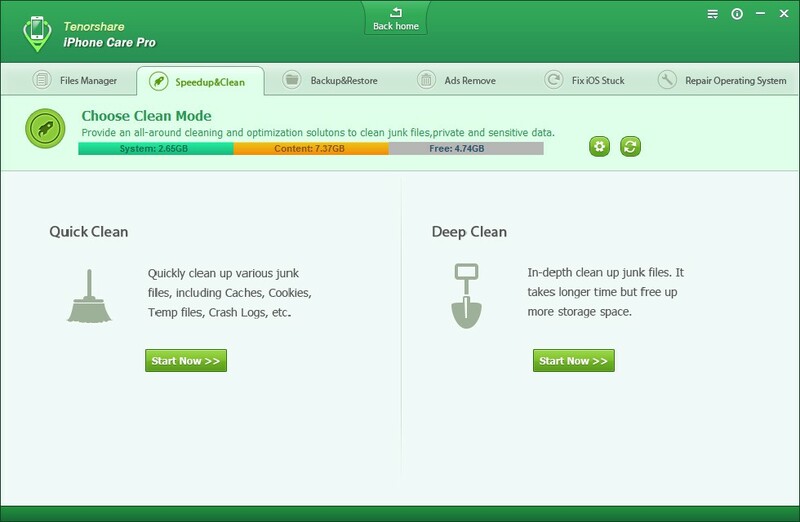 Quick clean removes junk files from your iPhone including caches, cookies and temporary files etc. while Deep Clean scans your iPhone/iPad/iPod deeper and also allows you to scan for the specific file type which is not allowed in the Quick scan mode. 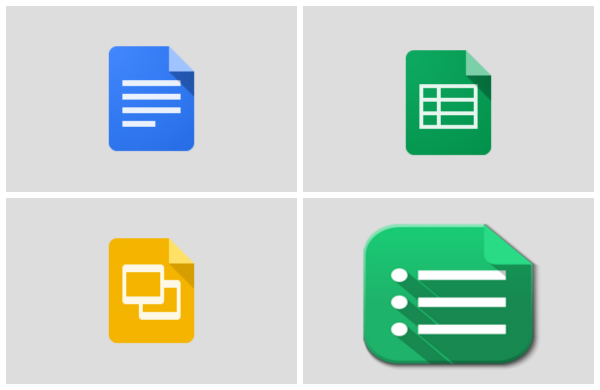 Other than the above-mentioned types of files tenorshare also supports to scan and clean files like call history, messages, active apps, iPhone notifications, crash logs, user storage files, browsing history and more. Fed up of ads while running any of your iApps or game on your iPhone? Again Tenorshare iPhone care Pro is the solution to the problem which is able to block any type of ads like floating ads, pop-up ads, full screen ads, iAds, Google AdSense and etc. from any of app on your iPhone including Airborne, Panora, Twitter, Hulu Plus, Facebook, YouTube, games and etc. Health check feature fixes the issues like junk file, ads-flooded apps of your iPhone/iPad/iPod and also fixes other iOS issues. It works in three steps i.e. 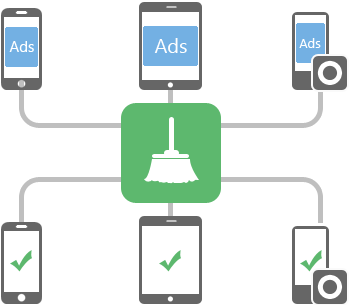 Speedup & Clean, Ads Remove and Fix Stuck iOS. Step 1 Speedup & Clean up and speed up the device. Step 2 Ads Remove blocks all sort of ads on your device and Step 3 Fix Stuck iOS fixes various iOS stuck related to iOS upgrade overheating and other issues. To perform all the three above mentioned steps, you just need to connect your iPhone/iPad/iPod to the PC or laptop and select the above steps sequentially to maintain health of your device. 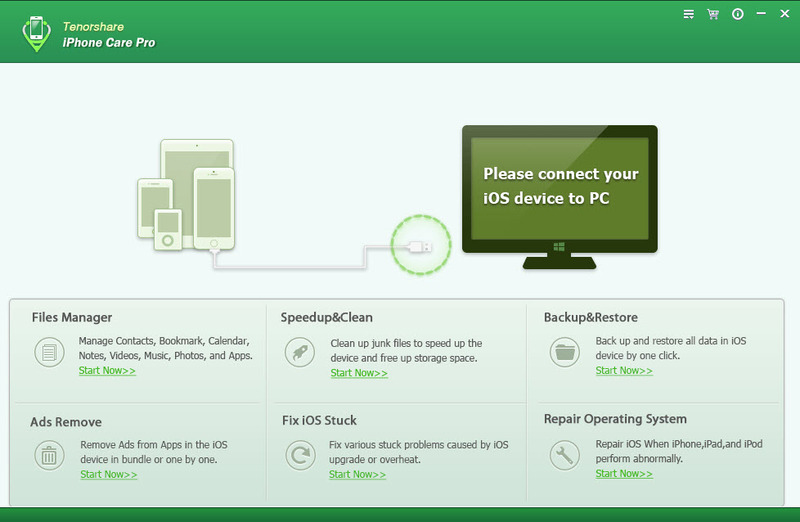 The trail version for iPhone care pro is also available in Windows and in Mac version as well. iOS Repair System: “Repair operating System” is the another most useful utility of Tenorshare iPhone Care pro. It provides an easy way for the download of the firmware to fix up the iOS crash, upgrade failure and other iOS issues with no data loss and jailbreak. The major problems covered under this utility are; improper booting of iOS due to file loss, failure to upgrade iOS system, unable to receive upgrade notifications. 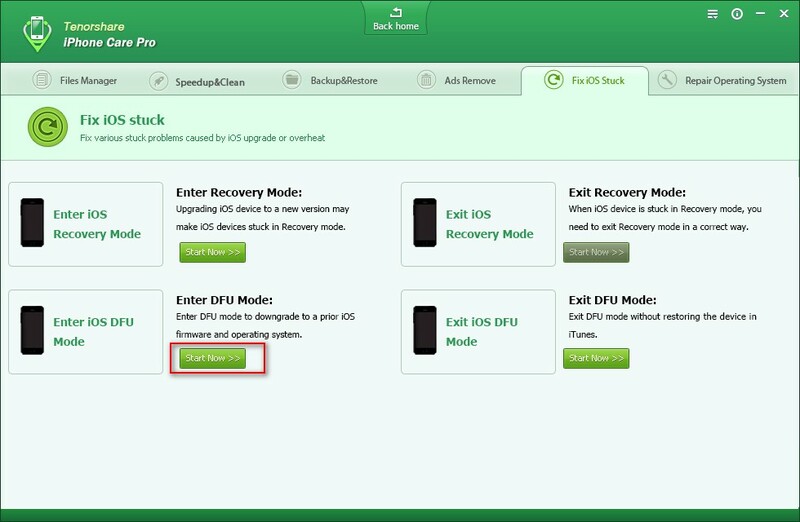 Damage of iOS system severely, enter and exit recovery mode or DFU mode but iOS stuck issues can’t be resolved. Thus from the above mentioned many of the functions provided by the Tenorshare iPhone Care Pro, it is highly useful and recommended tool for the iPhone/iPad/iPod users that has every solution of every iOS based device.